The bitter wind, the road blocks, the x-rays and the body searches had robbed the mass of joy, leaving the strange sensation that we were not in church but held in prison. And at the mass the military there, so evident, alienated all sacred sense. It seemed to be a play before TV cameras, to deceive a watching world that all is well, giving me an uneasy sense of guilt for cooperating in a sacrilege or being a puppet in a lying show. Selling my own self and all I held dear. When the weary mass was ended and we had been released, people quietly melted away as if ashamed to have contributed to this masquerade. No singing, dancing, no cheery exchange with pilgrims from afar…we had no heart in it. We were loaded into army trucks as tired soldiers disassembled rooftop observation posts and mini fortresses, glad there’d been no incident (a successful military operation) oblivious or not caring, or maybe glad they had stripped us of all purpose leaving only a shabby make-believe of a Christmas I had waited a lifetime to experience. We felt our way along some alleys of the town, still and empty with doors fast-locked that kept the people in but seemed to squeeze their fear like a winepress to flood the streets with something sour, a people grieving for those in prison, deformed or dead, and full of fear what may be tomorrow. Twenty-one Christmases later, nothing has changed; the IOF military presence, the fear, the lies are the same. 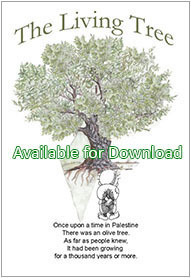 Fr Percy’s view of Palestine, as was mine, had been infected by the false heroic myths of Leon Uris and the pro-Israeli biased lies promulgated by the US-influenced mainstream press: We are perpetually brainwashed that Palestinians are terrorists but the systematic Israeli state terror is not exposed: Israel is an illegal occupying power bound by the Geneva conventions yet it daily commits war crimes by murdering stone-throwing children, allowing the sick to die at check points, cold-bloodedly letting the injured bleed to death by blocking ambulance access, demolishing Palestinian homes and right of security and continues laying siege to the families of Gaza thus amassing a humanitarian crisis of horrific magnitude. Suicide bombers and piddly rockets make headlines, but the extra-judicial killings and massacres by one of the most sophisticated high-tech armies in the world goes unannounced or worse still- are justified. 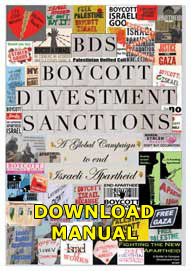 There are cheers when Jews immigrate to Israel, but silence when Israel denies 4.5 million Palestinian refugees the right of return which is unambiguously guaranteed by international law under the Geneva Conventions, the Universal Declaration of Human Rights, the International Covenant on Civil and Political Rights and UN resolution 194. We are told ad nauseum Hamas won’t recognize Israel’s right to exist, but not that a political party cannot diplomatically recognize a state; and we cannot hear beneath the clamour and wail that the Arabs want to push Israel into the sea the secret Zionist claim to land they covet from the Nile to the Euphrates for the glory of Eretz Israel. The lie of omission is apparent in the excluded historical discreditation of the promised land by the fact that since the Canaanite inhabitation of Palestine in 3000 BC, the Jewish rule totaled a mere 364 or so years until 1946. Nor are we informed that Israel has neither extended recognition to a Palestinian state nor delineated its borders since 1947. The media has upheld the lie of the legitimacy of Israel’s statehood when in fact, the independence of the whole of Palestine remains indelibly guaranteed under the Covenant of the League of Nations on June 28,1919 in Article 22 which is still binding for all states of the United Nations. In addition, the hasbara that Israel is the only democratic state in the Middle East is revealingly undercut by the reality of its crippling apartheid policies as well as its fascist laws that won’t tolerate criticism and dissent. Nevertheless, since Fr Percy was in the Occupied Palestinian Territories, there has been a colossal change. An eight metre high concrete Leviathan, a monster of chaos and apartheid, has been loosed upon Palestine devouring Palestinian homes, crops, olive trees, livelihoods so that precious things like family and community unity, even sanity have fallen apart. 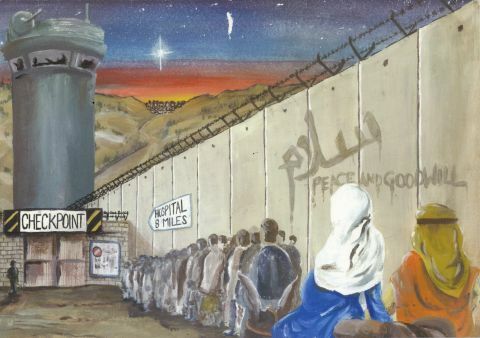 The beast, spawning illegal settlements like incubi, has slouched into Bethlehem, encircled it and is slowly suffocating the people and the manger of peace. When her own son was done to death. And Mary was of both. 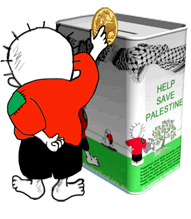 - Dr. Vacy Vlazna is Coordinator of Justice for Palestine Matters. She was Human Rights Advisor to the GAM team in the second round of the Acheh peace talks, Helsinki, February 2005 and was coordinator of the East Timor Justice Lobby as well as serving in East Timor with UNAMET and UNTAET from 1999-2001.